There are several factors to consider when choosing a garage door and that includes that material of the door. There are doors that are made of glass, wood, steel and aluminum. These materials have their own pros and cons. It is suggested that you take time to understand the advantages and disadvantages of these door materials so you can select the best option. • Steel. This is the popular choice when it comes to door materials. It can be used on any type of door including roll up, sliding, swinging and overhead doors. They can also be manual or electric. Some of the reasons why it’s widely used are they are cheaper, they don’t require much maintenance and they are also durable. The drawback is that it’s not a good insulator. 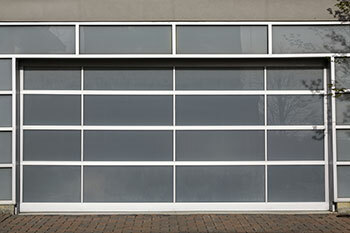 However, you can find steel doors that are insulated, though they are more expensive than the regular ones. • Wood. Wood doors are good insulators so you can save energy as the garage can easily get warm or cool. You can also conveniently choose the style and design you like, as well as the color, as they can be easily painted to suit your home. They also come with disadvantages, including being high maintenance and more costly than steel doors. • Aluminum. These doors are the cheapest that you can find. However, they can easily dent as they are not that sturdy. They may not last long enough, especially during extreme and changing weathers. • Glass. Glass doors look great and they are also great for homes that are near the beach or ocean, as they do not corrode. However, these doors are very expensive and they can also break easily. They may not be ideal on residences where there are several kids that could accidentally break them when playing. 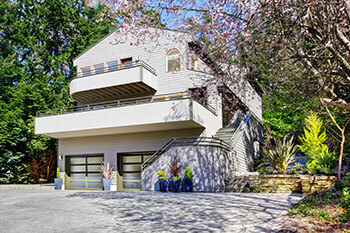 Consider these pros and cons when selecting your garage door.